We believe it is our responsibility to make oral hygiene and prevention services the core of our practice. We listen to you, provide education and motivation, and strive to make preventive practices successful and enjoyable. When you come to our office for an exam, you will be greeted by our friendly staff and guided through the patient paperwork. If you have any special circumstances or concerns, we encourage you to ask questions. Basic information on insurance coverage and payment options will be clearly outlined so you can make informed decisions about your treatment plan after your exam. 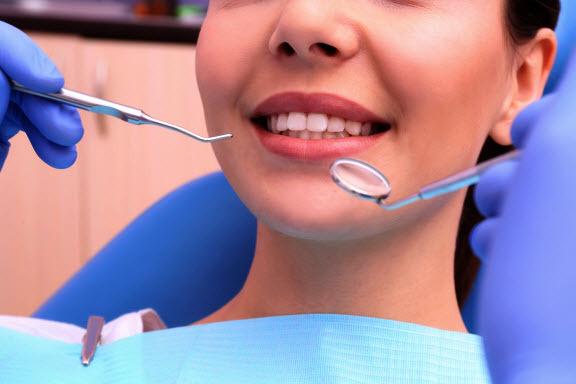 What Does a Dental Check Include? Your initial comprehensive exam is the best way to determine the status of your oral health. We will take x-rays or panoramic radiographs to detect impacted or unerupted teeth, sinus conditions, or any lesions or jaw fractures. Then we will gently examine each tooth, your gums, and your overall oral structure. After we understand your status and concerns, we can then tailor further procedures and recommend the best hygiene treatment for you. Most routine dental exams can be completed in 50 minutes to an hour. If you have gum disease, old fillings, missing teeth, or any pain, we may need to take additional x-rays or perform other diagnostic measures. We also like to take this time to provide education about diet, smoking and alcohol use, and daily cleaning habits. The American Dental Association (ADA) recommends you have a professional exam and cleaning every six months. Regular exams will help diagnose problems early and can help prevent the need for more invasive dental procedures. Tooth decay, gum disease, oral cancer, and bone loss can all be treated best if they are detected earlier rather than later. At Lake Dental Care we make taking care of your teeth a fun, pleasant experience. We use language kids can understand and provide a positive environment to create a solid foundation and a lifetime of healthy teeth and gums. Bring your child in to visit us within six months after their first tooth erupts and at least twice a year after that. Daily brushing and annual dental cleanings ensure that teeth are clean, strong, and white. Preventive dentistry helps you keep your original teeth longer and avoid more invasive dental treatments. Call the experienced team at Lake Dental Care and schedule your next cleaning and exam.